Whilst much of the recent focus in residential design has centred on high-rise buildings, Rothelowman has recently been commissioned to design a number of midrise, campus style developments on large brown field sites. 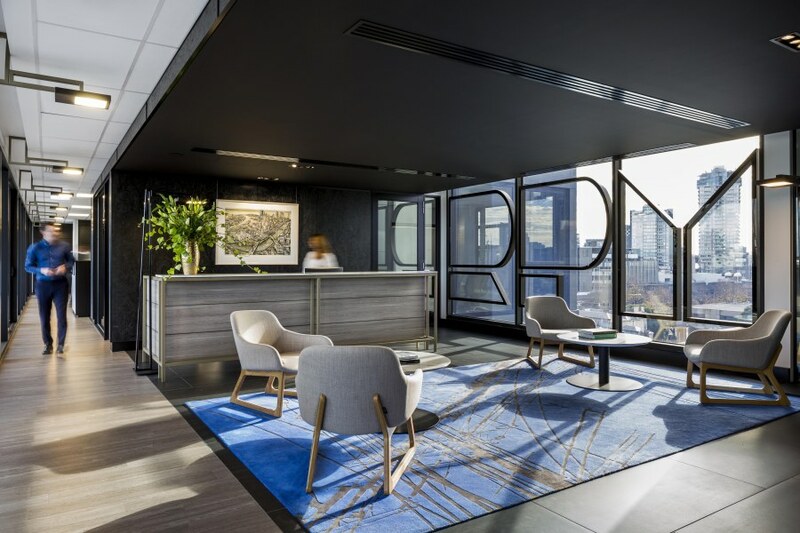 Significant additions to the existing urban fabric, the design and delivery of these complex developments requires a sophisticated understanding of both the buildings and how the spaces between the buildings function. Well-designed campus developments offer enormous potential to deliver high quality, high value dwellings in a manner that is entirely consistent with current thinking about the future direction for our cities. A series of carefully orchestrated buildings and outdoor spaces can support city and community life in many ways, providing opportunities for recreation, work, retail and culture. Adding this complexity and diversity to the fabric of our cities delivers the kind of sustainable, high quality place making that is rightly seen as a real positive by planning authorities and future residents alike. Projects like these that are stageable present a lower level of town planning risk and are proving to be a prudent strategic choice. 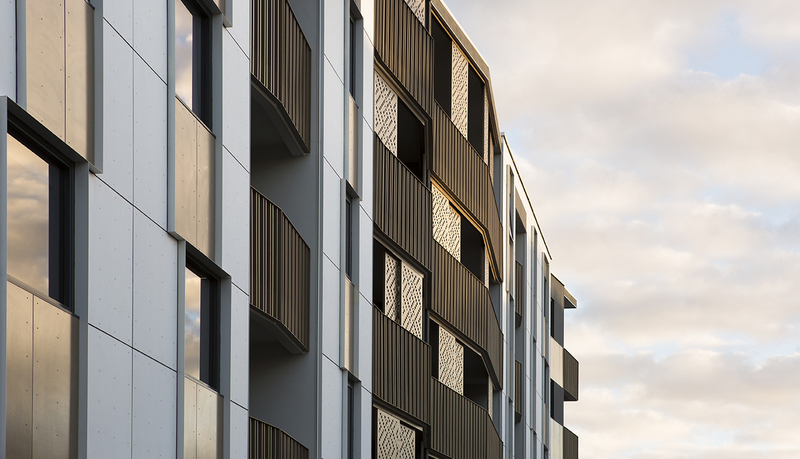 Multi building developments bring with them an inherent complexity – understanding the role that each piece of the puzzle plays is important. In the same way that we expect spaces within a building to have a specific use, so too the space between the buildings must be designed to accommodate a clearly defined function in order for them to be successful. In Melbourne, for example, there is a tendency to assume that the inclusion of a laneway in a development will automatically result in a busy, vibrant alley. However, the truth is that without the right combination of elements the laneway will fail to activate. The real answer lies in understanding why some of these in-between spaces are successful and others aren’t in order to design around these conditions. 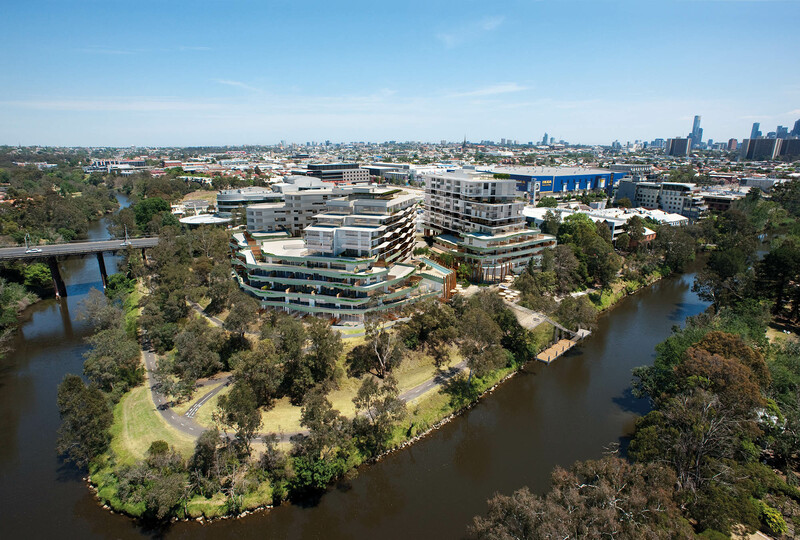 When considering a site strategy for a project in Abbotsford, we identified the need for access between the banks of the Yarra River and Victoria Street. We proceeded to design the three stage development, Eden, Haven and Sanctuary around a new central spine which now connects the city to the river. Whilst crossing private land, considerable care has been taken to make sure the new pedestrian route reads as public space to encourage its use by the general public. 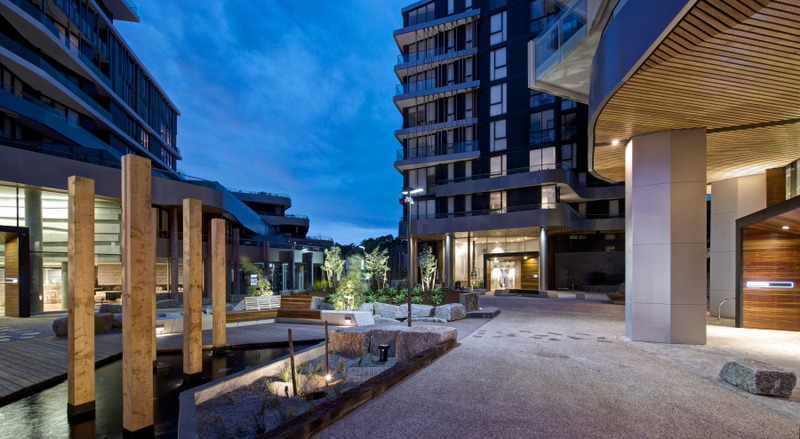 Lined with offices, restaurants, the apartment building entrances and exercise studios, Acacia Place has quickly established itself as a catalyst for a cohesive and identifiable community. In Coburg we are working with our client to produce a masterplan for a vibrant, sustainable new city quarter. Focusing on the local context, the plan seeks not only to add new urban space and buildings but also importantly looks to build on and reinforce the unique qualities that already exist. These may include adjacent land use patterns, local culture or existing heritage fabric. The plan has been carefully constructed to ensure the viability of the proposed commercial land use and to deliver excellent amenity for a mixture of townhouses and apartments. 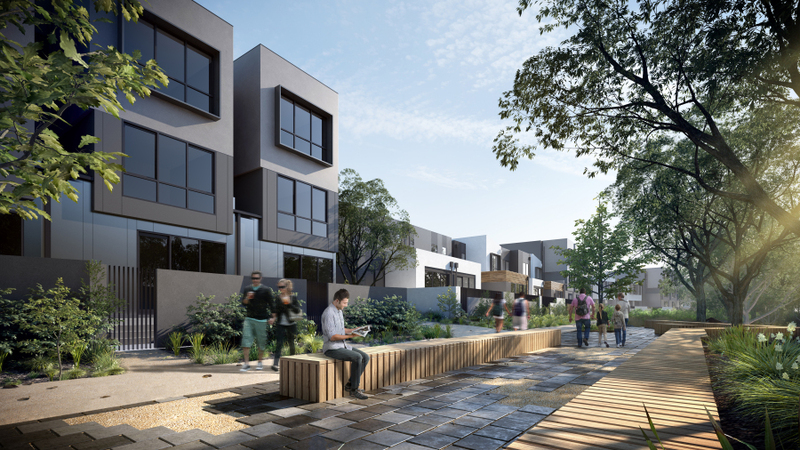 As evidenced by sites we have worked on in Sydney, Brisbane and Melbourne, campus style developments can deliver outstanding and desirable places to live. We believe that successful redevelopment of larger brownfield sites will play a critical role in delivering the sustainable cities of the future.